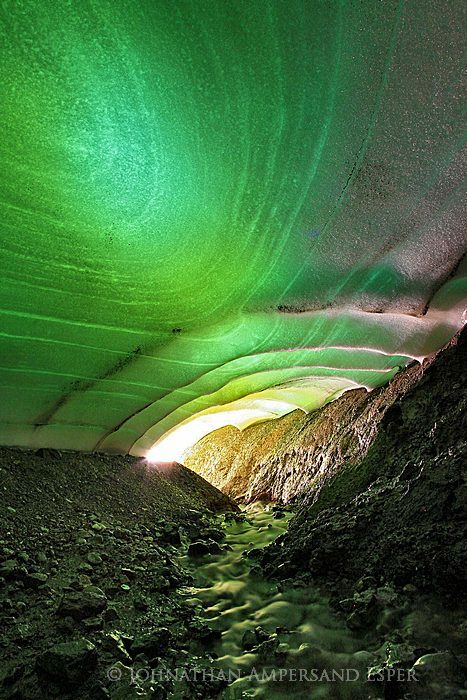 Microoganisms in the ceiling of this shallow snow tunnel give it this green color, vs the blue of condensed old glacial ice caves. Photographed on summer 2012 Iceland photography workshop and photo tour led by Johnathan Esper. Photo © copyright by Johnathan Ampersand Esper.